Now, I have the perfect answer to “What is the craziest thing you’ve ever done?”. I won’t have to go digging deep to look for something that would sound crazy. It’s part of growing up and I am just thankful that it wasn’t as bad, it could have been worse. Now, I can laugh about it, but that was a scary move I made. Getting involved in a party brawl that I have no idea how it started or what ensued. So don’t joke with me or I’ll punch you in the face *just kidding*. 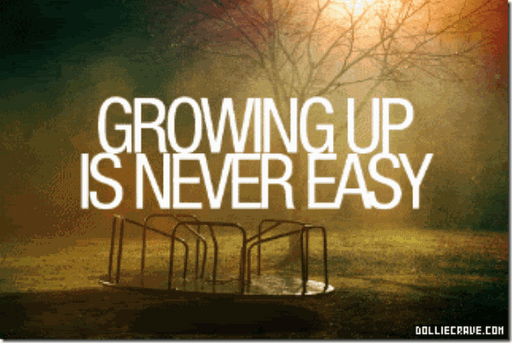 Growing up is never easy. You hold on to things that were, you wonder what’s to come. However, it comes a time, you just know it’s time to let go of what had been, and look ahead to what would be. Other days. New days. Days to come. The thing is, we don’t have to hate each other for getting older. We just had to forgive ourselves for growing up. Thankful Thursdays, don’t forget to say a small thank you today. Apparently, they say gratitude is the essence of good mental health and spirituality. Now you have every reason to … yah. Have an awesome day my people’s.